The Current has been covering Valentine’s Day all week and while we love the occasion we also realise that we might be excluding our single friends. 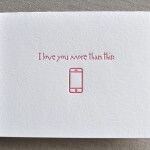 So if you are spending this Valentines Day alone then this post is for you. Let’s face it, being single on Valentine’s day can sometimes be a bit depressing. Some singles have elected to embrace Valentine’s Day by celebrating what has become known as Singles Awareness Day also known as SAD. No seriously, there is even a website dedicated to SAD which states that “The goal of Singles Awareness Day is to let singles have celebrations, get-togethers, etc. and to exchange gifts with their single friends.” There is no reason that a single person can’t enjoy Valentines Day as much if not more than couples. So this Valentine’s Day why not embrace being single by keeping in mind these 9 points. You won’t spend Valentine’s Day alone, you’ll spend it with the best friends anyone could ever hope for: Queen Elizabeth II ($20), William Lyon Mackenzie King ($50), and Robert Borden ($100). According to this study 84% of Canadians celebrate Valentine’s Day and of that group 60.9% spend over $100 on gifts alone. Meanwhile Americans spend an average of $142 per person on Valentine’s Day. So any way you slice it you’ll be saving some serious doe. Why not put that money towards something for yourself? In the lead up to every Valentine’s Day millions of people around the world utter something like “I don’t care about gifts or flowers, I just want to spend time with you” and every year millions of people fall for it. Even the most impassioned insistence that no gift is necessary is only a thinly veiled deception. Everyone expects something on Valentine’s Day, even if they say they don’t. As we all know, having expectations is the first step to failure and disappointment. It is scientifically impossible to have a great Valentine’s Day because the reality always falls just short of expectation. As a single person ‘looking in’ it seems that everyone has a great relationship on Valentine’s Day. Happy couples are everywhere, exchanging gifts, gazing into each other’s eyes, laughing, eating, kissing. Stop. Be realistic. Think of all the embarrassing fights, stomach turning baby talk and ball-and-chain moments that you see every other day of the year. Valentine’s Day isn’t an accurate representation of being in a relationship – it is a highlight reel. Remember that as a single person you never have to fight over the remote, play tug-of-war with the covers on a cold night or argue about what’s for dinner or who’s cooking. Making a reservation at a restaurant is a mild inconvenience at best but in the lead up to Valentine’s Day it devolves into a humiliating ordeal full of frantic, last minute grovelling to a stranger for a seat at a restaurant you don’t even really want to go to. So be happy that you are single and can eat at home, in your pajamas. There is chocolate everywhere. Chocolate is food. You can’t live without food but you can live without a significant other. Ergo chocolate is better than being in a relationship. In the lead up to Valentine’s Day it is socially acceptable to buy vast quantities of chocolate and, even better, after Valentine’s Day all the leftover chocolate goes on sale. According to this study chocolate even produces a more intense and long-lasting buzz than kissing! You don’t have to buy anyone a gift… except yourself. Or better yet wait until the day after Valentine’s Day and save some money. Every Valentine’s Day there are special congregating points for singles looking for support from other single people, these support groups are known more commonly as ‘bars’. So don’t fret, you don’t have be alone on Valentine’s Day even if you are single. Go to a bar with some old friends or make some new ones. 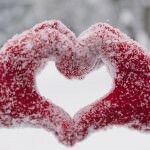 The open-secret about Valentine’s Day is that it isn’t a real holiday like Christmas, Hanukkah or, Eid. It is pretty much entirely made up – a Hallmark holiday created to sell cards and flowers. So if you are single this Valentine’s Day just remind yourself that it doesn’t really matter. If you’re single on Valentine’s Day all that means is that you are single. It doesn’t mean that no one loves you, they do. It doesn’t mean you’ll be single forever, you (probably) won’t be. It just means you are single. So Don’t get down because you are single on Valentine’s Day. Just enjoy being single…while it lasts. If you are looking for something to do this Valentine’s Day, check out our tips to save as well as some unforgettable romantic getaways. We’ve also got a few other surprises for you.